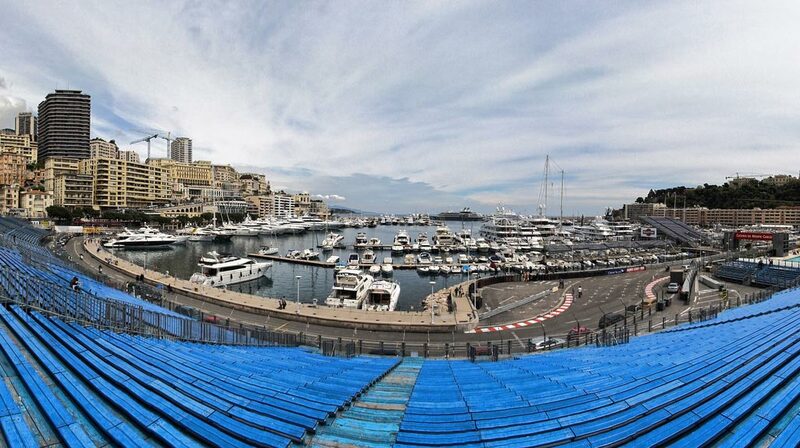 If you’re looking for some inspiration on where to sit at Monaco, then you’ve come to the right place! We’ve created the circuit guide below to be as helpful as possible in advising you to pick a place to watch the next Monaco Grand Prix from. We’ve taken into account the best place for overtaking, likely place for spins and crashes, the best atmosphere and proximity to the facilities. It’s all covered and we’ve ranked it in order of our personal opinion. Opposite the world famous Monte Carlo Casino, Casino Square is a very popular area for spectators. 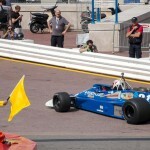 Sweeping past the front of the casino after the Massenet corner, drivers then make a right-hand turn at speeds of around 125km/h. Casino Square is overlooked by tribune B, a medium sized grandstand at one of the most desirable parts of the circuit. A TV screen means spectators not only get a stunning view of the Casino but can also watch the rest of the race action. Overlooked directly by the biggest tribune at the Monaco GP, Tabac corner is a 155km/h left-hand turn into the first ‘S’ of the Piscine. The grandstand here, tribune K, enjoys unrestricted views of the beautiful harbour and is a very popular spot for spectators. There is also a screen at this corner, to watch the rest of the race action. The Piscine swimming pool complex has two chicanes – a fast one on the entrance and a slower one on the exit. It is at the centre of the Monaco Harbour and is surrounded by spectacular views across the bay. Overlooked by tribunes L, M, N, O and P, this is where most of the spectators view the race from. Tribune L is at the exit of the chicane and overlooks the pit lane, so spectators can enjoy the pit lane action as well as being close to the race. There is also a screen, so really you won’t miss a thing. Tribunes N, O and P are right at the centre of Monaco Harbour. They enjoy a full view of both parts of the Piscine section. Built on a harbour pier, these grandstands are above water and surrounded by water with excellent views and also benefitting from a large screen. The last corner before the start/finish line, Anthony Noghes is a very popular corner with spectators. Overlooked by tribune V, this small grandstand with a screen to watch the rest of the race is always one of the first to sell out. It is an 80km/h right-hand turn for the drivers, leading up to the start/finish straight. It is also directly opposite the pit lane entrance. From Anthony Noghes, spectators can enjoy an excellent view of the pre-race build-up, get an up close view of the drivers walking up from the F1 paddock and have a privileged view of the start, and of course end, of the race. 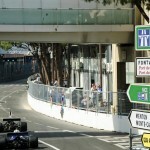 The Anthony Noghes corner is arguably one of the most exciting places to be for the Monaco GP. 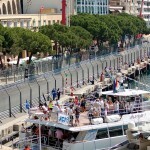 Just before the pit lane entrance, La Rascasse corner is the second to last corner of the race and follows on from the Piscine and the straight along the docks of the harbour. It is overlooked by the large tribune T, which enjoys a screen to watch the rest of the race, as well as great views of the harbour. 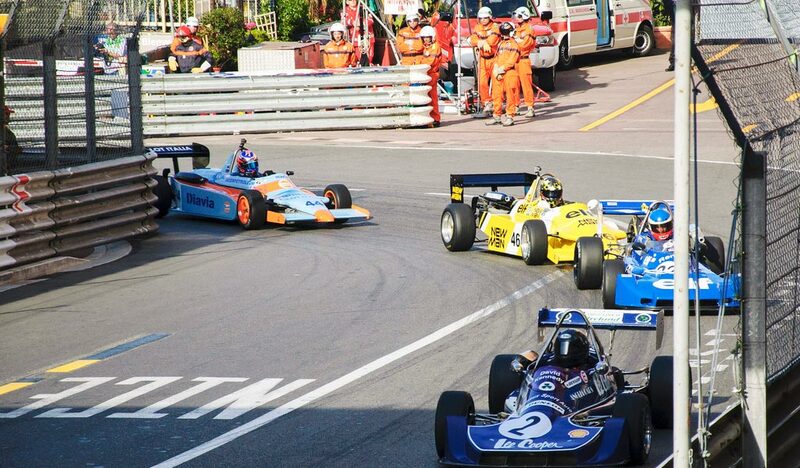 Tribune T is also directly opposite the pits, so spectators get a privileged view of the exciting pit stops. At the exit from the hairpin turn of Loews corner, Mirabeau Bas is yet another tight, right-hand turn. Drivers cut across the public pavement on the inside to gain lap time, being careful not to be too greedy which can unsettle the car. Mirabeau Bas is partially overlooked by tribune C, a small grandstand opposite the entrance to the tunnel.Portier corner is directly opposite the tunnel entrance. 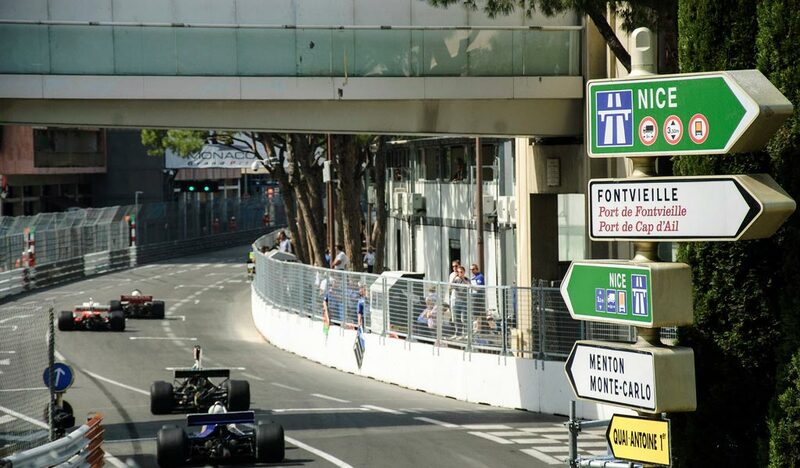 This is a very important corner, because the drivers need to keep up a good speed as the tunnel is really the only opportunity for overtaking at the Monaco GP. Drivers will be at speeds of around 90km/h for this right-hand turn. Tribune C is a small grandstand that enjoys a perfect view of Portier Corner and watches the cars disappear into the darkness of the tunnel. This is the first corner after the start/finish straight. Sainte Devote is a narrow corner and drivers have to break from around 270km/h right down to 90km/h to filter through this right-hand turn. The small tribune A1 is located inside the Sainte Devote corner and enjoys a great view of the start and finish of the race. Many first lap incidents also happen at this corner so spectators can expect prime viewing of some of the most exciting parts of the race. There is no TV in view from here however so pack your FM radio or invest in a FanVision set! 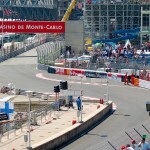 A very exciting part of the track, the start/finish straight sees a lot of the action and is therefore home to most of the VIP terraces at the Monaco GP – Albatros, Heracles, Caravelle and Ermano (the other VIP terrace, Beaurivage, is located just after the Sainte Devote corner along the straight into the Massenet corner). Tribunes X1 and X2 enjoy a view of the start/finish straight and the Anthony Noghes Corner. 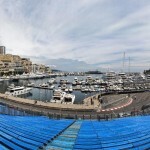 Located opposite the pits, these desirable seats have an excellent view over the action at Monaco GP and can also see the drivers making their way up from the F1 paddock, during the pre-race build up. Most importantly, these tribunes have a great view of the end of the race, as the drivers exit the last corner and cross the finish line. X2’s views are a little better, being closer to the start/finish line than X1. 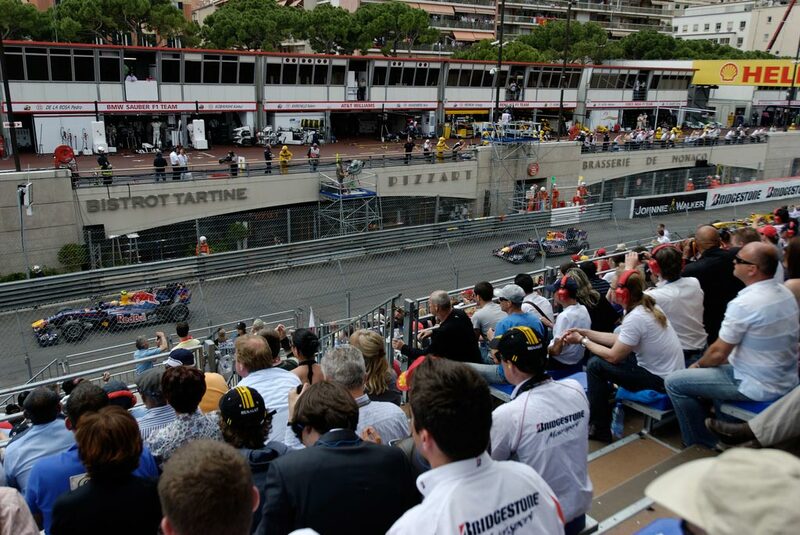 If you are on a budget, why not consider the following two options for your Monaco GP tickets. Exiting the tunnel, drivers are faced with the Nouvelle Chicane, running alongside the harbour. 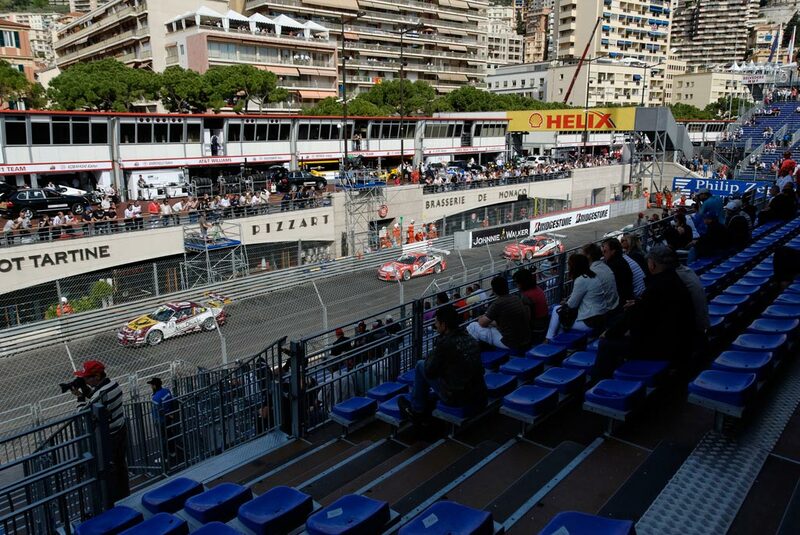 Nouvelle Chicane is followed by a short straight into Tabac corner and can be seen from the large tribunes K and Z1. Z1 has the best view of the Nouvelle Chicane but is a general admission area with no reserved seating. Spectators should get here early for the best view along here. The Rocher general admission area offers partial views of the harbour area, sections of the Piscine and Anthony Noghes corner. Vision is however, very restricted here and since it is really a steep, rocky slope, it is advisable to bring chairs and get there very early for the best views! Tickets can be very cheap though, so if you can get the best spots it could be great value for money. It is possible to see the screen for tribune V, but again, the view is restricted based on the space you can reserve for yourself on the day. Looking for help with Hospitality or VIP Corporate Entertainment? 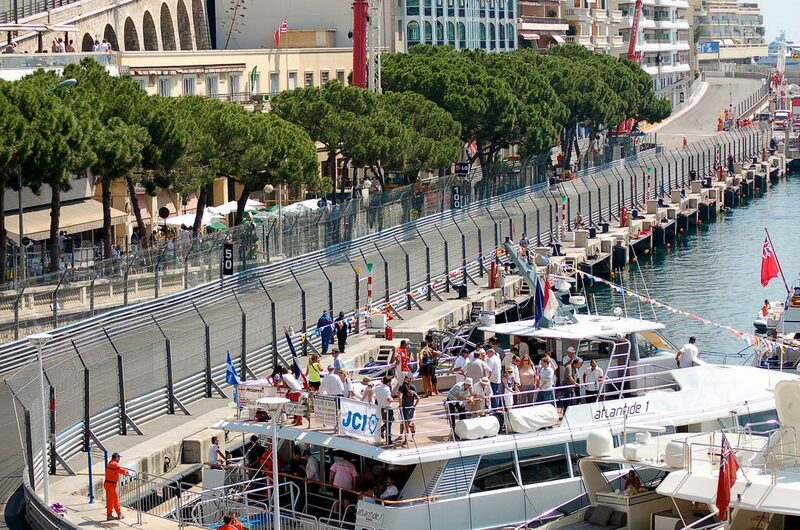 Check out our Monaco Hospitality Packages guide for further information. Great article, thanks Jodie. I want to take my family to Monaco for the 2016 Grand Prix and have started planning. I know most people enjoy sitting in the sun but my daughter can’t tolerate sunlight on her skin and I’m trying to find a way to get her there without breaking the bank. Do you know if there are any covered stands (ideal) or even stands that sit in shade during the race so we can offer her some protection? Any guidance you can give us would be much appreciated. I’ve never noticed none of the stand are covered before! I’ve had a look through some of the Grandstand photos and think the best option is Tribune T High if you can get seats right at the top. Take a look by clicking here and click the magnify glass on Tribune T High. Sorry I can’t offer any better advice. 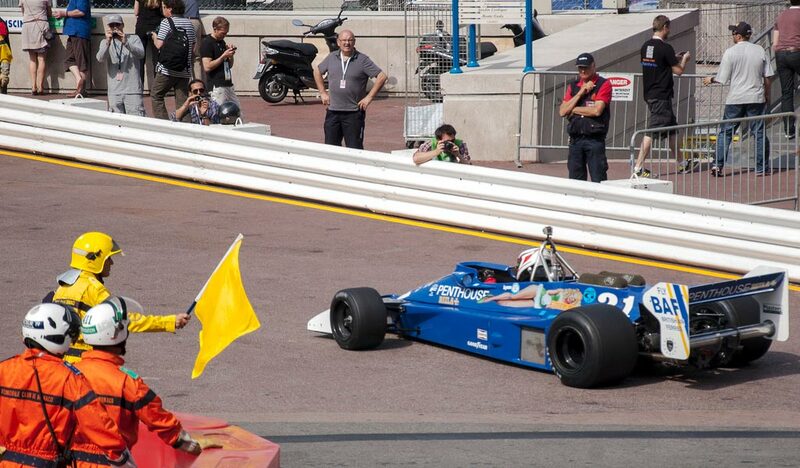 I was at the 2014 Monaco GP, and plan to return in 2015. I can’t believe I waited until I was 45 to go. I’d always assumed it was unattainable. A pipe dream. In actuality, it was a fantastic 4 days. However for Sat/Sun we were in Rocher. Needed to be keen. You had to get there early to bag a good spot. However, we had a great spot on Sat which was well under the shade of the trees, and had an excellent view of Anthony Noghes and the big screen. It is possible to see more than is shown in the video attached to this thread, but you need to be determined! You would need to be prepared to scramble around on a hillside and stake out your spot though. I hope you realise your plan to attend. It’s a fantastic experience. I still haven’t quite come to terms with being allowed on to the “track” itself when the roads open each evening (and afternoon on Friday). Hi, we’re interested in attending the Monaco F1 2015 & in the past years have enjoyed Monza & Melbourne in the Paddock Club but now that we have a 4 year old son, that option is too expensive, are there other ‘tents / marquees’ on the track ie sponsors / clubs (we are a member of the Ferrari Club of Australia) that we can buy tickets too other than a Grandstand seat or General admission (I haven’t seen any in the photos of the track I’ve found on different websites) hence the question! Thanks. Things to consider are budget per person, how many days do you want to watch the action on and do you want food/drink/sit down meals included? Feel free to send us more information and we’ll happily narrow the search down for you. I was able to find tickets at this gootickets website that are already sold out at the tickets.f1. Is it safe to buy there, right? Yes no problem with GooTickets I’ve used them myself and they are also used by the Official Formula 1 site. On your second point regarding the cost to see qualifying or practising, I presume they can justify the extra cost for qualifying as it’s such an important part of the race and undoubtedly raises greater interest. Where as with practice there’s no guarantee of seeing all the cars. Oh and another thing. I understand paying some more money to see the race. But I don´t see the point in paying twice the price to see the qualifying session rather than the free section on Thursday. Could you say something about it? Thank you! What part of the race track would you recommend ? This is new to us and our first event !!! I would like seating , atmospheric , with a good view and tv screen ….help !! It really depends on your budget, if you can give me an idea I’ll try to offer some advice. 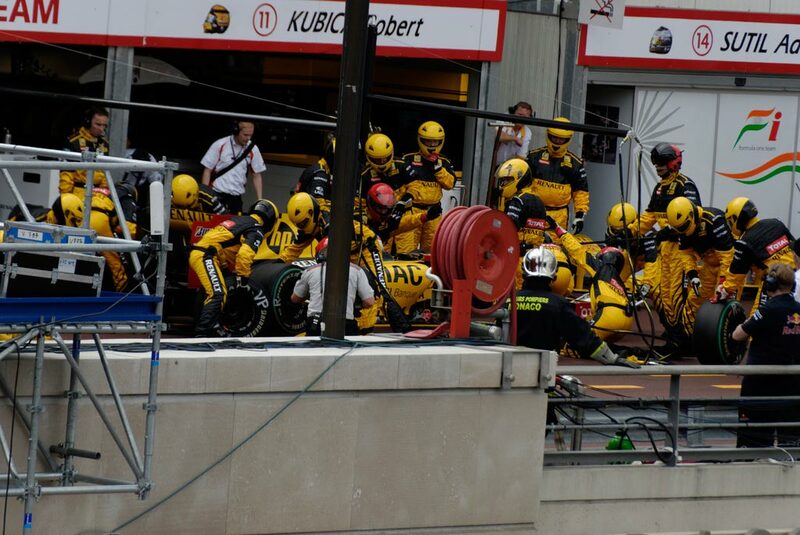 Does anyone know if they do pit walks on Thursdays? I have read elsewhere online that there is a pit walk on Friday if you have a Weekend ticket. I have a limited time and want to buy a grandstand ticket for Thursday only. I can confirm that there is a public pit walk on Friday for the Monaco F1 Grand Prix, but not on Thursday. This is open to all Saturday and Sunday grandstand ticket holders. any ideas about the upper t racasse seats? haven’t purchased yet and have never been. i want to make sure the first time we go is a good one! Do you mean the Tribune T High (Upper seats)? This is the section between the exit of the S of the swimming pool and Rascasse Corner. If so yes recommended by a number of our visitors in the past. Saying that I don’t think you’ll be disappointed wherever you sit! Is the pit walk open to any ticket holders? We have general admission for the Saturday and z1 general admission for the Sunday. Will be truly gutted if we can’t get in the pits! It’s my first time in Monaco and cannot wait! Hey Jenny, any ideas on a good section to watch the race with general admission tickets? I have been offered seats in section K for Sat and Sunday. Where are these on the circuit, as what will I see? are they seats or bleachers? what’s their value in dollars? Where can I find the prices & locations of seats? I’m planning for next month, May 2015…got a last minute offer. THANKS. Have you tried BookF1.com? They have the latest prices and availability. If you select the magnifying glass next to the Grandstands you can see pictures and reviews of the stands. I understand section K is in Tribune near the harbour. 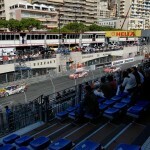 I wanted to book 2 tickets for the race on Sunday for the Monaco grand prix as a surprise birthday gift for my husband. He is a huge fan and I am not sure which tickets to book. Have you had a look at Tribune T (HIGH) it include views of the Pits as well as the circuit. If you visit BookF1.com you will see Tribune T in the first options. If you click the magnifying glass image next to the Tribune T High you can see some images. Sounds like a very special event! Prices vary between $545 – $666 for the Grandstands with the best views. This is in the Tribune stand which includes views of the swimming pool section and the harbour. Unfortunately this price is for seats only. It might be worth looking at Tribune T Low. 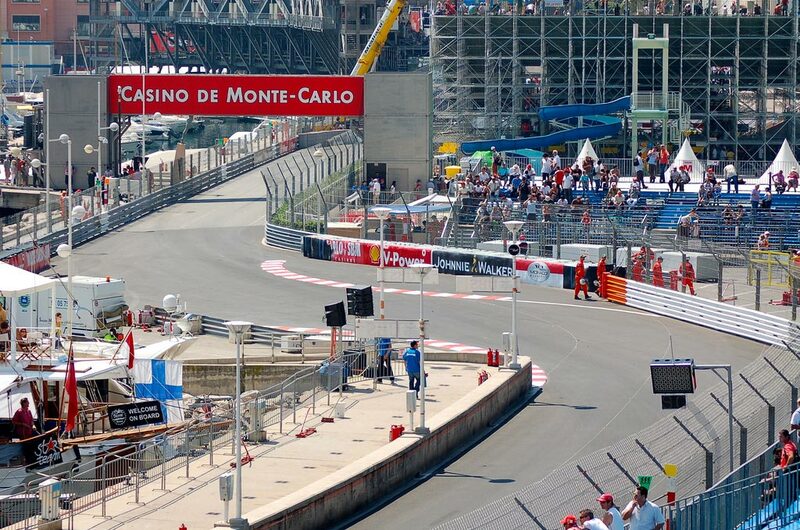 This stand has views of the straight between the exit of the S of the swimming pool and Rascasse Corner and is $424. 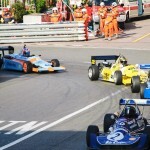 If you looking to experience Monaco prices starts from $475 but this will be a practise day. Race day prices are around $5,000 per person. 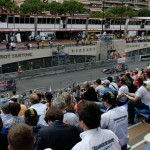 For more information on Grandstands try BookF1 and for VIP try our guide on Monaco VIP Packages. Having spent a week cruising the Med in beautiful conditions it was heartbreaking to realise that the weather forecast for Sunday was dreadful. The view of the pit lane added to the excitement . Lewis winning of course was the icing on the cake . A brilliant day !! The weather produced a brilliant race didn’t it. Glad to hear you were under cover up in Tribune T – this is a good tip for people buying tickets in the future who want a good view, but don’t want to risk getting soaked if the heavens open. We’re happy you had a good trip! How do you pick the specific seats when you buy tickets? Is it best available or do you select seats? You can request particular sections but not seat numbers. There’s no guarantee you will get your requested area but the resellers do what they can to meet customers requests. Prices vary wildly for seats in Tribune K. Is there a plan of Tribune K anywhere on the internet or should I just assume the more I pay the better the view? Hi Tom, That’s not a bad way of looking at it! Check out BookF1 here.. https://goo.gl/eWy3p0 If you look next to the name of the Grandstand there’s a magnifine glass so you can get an idea of the views. Has anyone seen 2017’s layout of the track that included giant screen locations and pedestrian overpasses? Appears that the ped overpass was taken out at tribune O last year… can’t confirm because official fan maps are few and far between. Does anybody out there have a map to share? Was there a copy in this year’s program? Definitely would assist my logistical needs for the upcoming season! I’m looking to go to Monaco for the first time this year as part of a larger European trip. I’ve not got a huge budget, so would rather spend the same amount of money on the best view possible and watch the action on the Thursday, rather than get a comparatively poor view for the race. Are there any stands particularly suited to photography (low fences, interesting backdrops etc) and any opportunities for things to do on the Friday? Is it possible to buy multiple tickets and move around on the Thursday, or is access difficult between sessions (and I’m mindful of not restricting others access by buying more than one ticket, but I am assuming Thursday doesn’t sell out). 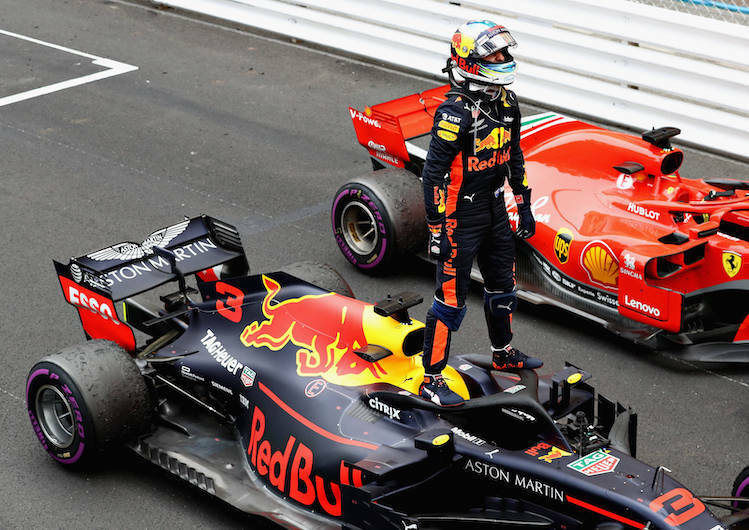 Looking at 2 tickets for Monaco Grand Prix 2019 with the best view of start /finish line and of the pits area. Also access to a tour of the pits would be great too. Can someone help me with the name of the grandstand or seating for best views of this area. Going to the grand prix this year can’t wait, can anyone recommend the best grandstands for viewing? First time to Monaco this year, and just a few questions. Is the Friday walkthrough worth it? How much access to the track and paddock area is there? I’ve heard Saturday night is fun in town, again is it worth the time and effort? Thanks! Hi Herman, I’m not sure about Friday, I didn’t bother and enjoyed a day in Nice instead!! Saturday is a great night in Monaco the track is opened up and bars are rolled out. I would definitely recommend it. Can you tell me which seats are best to see the presentation at the end of the race please? Also best seats to see the pits if that’s possible. Hi Rebecca, You would need to book a hospitality package the grandstands don’t face that way.